It is a widely-accepted luxury to have clean, running water in most first-world countries today. Innovation has brought the world to a point where water can run up and downstairs, for the convenience of the person brushing their teeth on the second floor, and the one taking a shower in the basement. Plumbing is the reason for this luxury, and, without it, plenty of people would be shocked to go back to a life of carrying buckets from the well or river to boil and then use. Plumbing has made life easier, more efficient, and has helped conserve water and fight off disease more thoroughly than most medical discoveries. By not maintaining your plumbing, you risk harkening back to the days of yore — your pipes could leak, your house could flood, and the damage may become irreparable or extremely expensive. 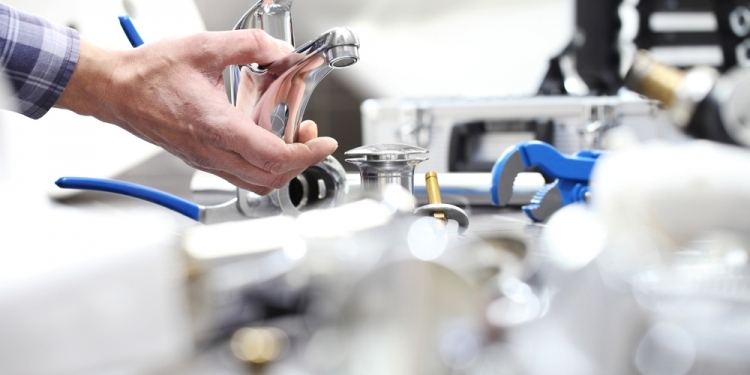 The choice is yours, but here are a few good reasons why you should care about your plumbing. Water is a precious and limited resource on the planet. Estimates show that the average family wastes 9,400 gallons of water annually from leaks around the house. Imagine how much water you might conserve if you took the time to have simple routine checks on your house’s plumbing. By hiring a trusted company to come to your residence for drain cleaning, you ensure the life of your pipes remains safe and long. In doing so, the company will likely inspect your drains first to figure out how much buildup there is and either use hydro jetting or chain cutting technology to make sure any material buildup does not cause a pipe to burst or leak. This is not an easy technique to do on your own, but it is fully necessary if you want to save those 9,400 gallons a year. If you believe you can get away with some amount of water waste, consider the number of people who also believe that. The United States collectively ends up wasting billions of gallons of water a year simply out of laziness. When you set your sights on how much you can save, it becomes a simple procedure to provide routine maintenance to your pipes and plumbing. If you need more influence, however, think about how much more you pay for leaky faucets and pipes. That wasted water not only costs the human population a life-sustaining amount of drinking water, but it also costs you money when your water bill comes. You end up paying for your leaks, either through preventive maintenance or through the amount of water that was lost and not even used. No one likes to think about the realities that come with what it means when you don’t check on your plumbing. Pests like rats and snakes who may have been living in your sewer, septic tank, or pipes can swim their way up into your toilet bowl. Talk about a nightmare! While they are probably lost in the pipes and not out to get you (only looking for food and shelter), you want to have your sewer checked for live-ins if you never want to see a rat or worse as you are about to sit vulnerably on that porcelain throne. Studies show that clean, running water is the main reason for an extended life expectancy. Water sanitation systems and waste removal have protected populations from water-borne diseases like hepatitis A, typhoid, cholera, and many more. To prove how precious clean water is, when contamination occurs in drinking water, full cities have the potential to be infected by water-borne contaminants, leading to such disasters as in Flint, Michigan. Clean, running water is a privilege afforded to much of the first world. Along with that privilege comes the duty to maintain and economize the use of fresh water, so generations to come can be afforded the same luxury. With proper maintenance and care of your home’s plumbing, you can take a simple step toward saving water for the future.